I wonder about Wonder Man. 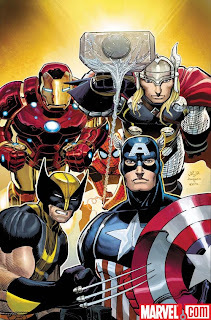 This comic of the day, Avengers #1, is a standard begin Avengers book which shows the assembling of the team. 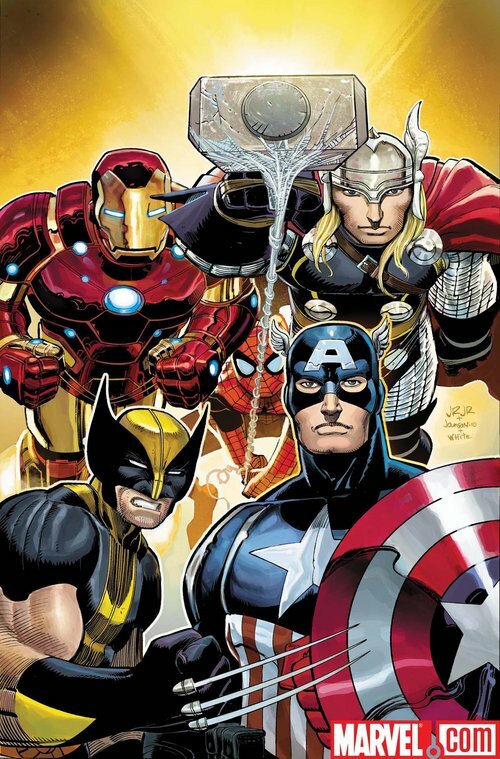 Apparently being an Avenger is still a huge honor because many of the younger heroes which are asked by Steve Rogers (the original Captain America) are very excited to except the invite. Everyone asked says, in so many words, yes accept for Wonder Man. Big W brings up the fact that the Avenger name has been involved in many injustices lately and that simply being an Avenger can lead to more problems. Rogers give Wonder Man an open invite encase Wonder Man changes his mind and Rogers is then given a foreshadowing warning. Wonder Man says, under his breath of course, that he may need to change Roger's mind about the need for a super team such as the Avengers. Wondy is drawn with some slicked back hair in the issue. Is Brian M. Bendis trying to turn Wonder Man into a villain? I actually hope he is. Throw in a little battle between old friends to the books. Plus, Bendis has been known to take liberties with the extent of a characters powers. I hope he makes Wonder Man the true titan of might he was originally intended to be. Oh yeah...and he has a sweet W uniform. Nothing says tough guy like a massive W shirt.